Call 733-2333 for more information. If you have lost a pet or found someone else’s, check with the Humane Society. 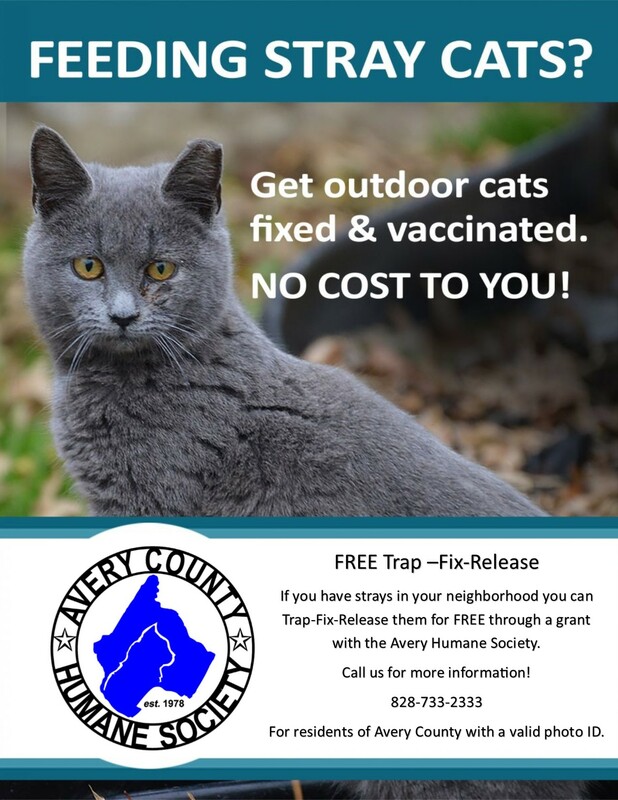 Avery County Humane Society offering free spay and neuter for some Avery County Residents, call for details and see if you qualify; Also offering an opportunity to help keep strays from becoming an issue, CLICK HERE for more information! LOOKING FOR: Avery Habitat ReStore looking for 2 Part-Time Employees, One as Driver, other as Sales Associate, call 733-2025 or stop by 2170 Miller’s Gap Hwy to apply. FOR SALE: 2000 Ford Explorer, green in color, leather seats, good tires, 188,000 miles, runs good, asking $1500; can be seen in Newland, call 828-742-5021 for more information.